As we got really good feedback last year we were tasked again to create an innovative sales training workshop for a client’s top sales reps that was included in their annual incentive trip. When we are travelling to give workshops we normally don’t have much time to ourselves. This time we managed to squeeze in a few great culinary experiences and even the obligatory visit to La Sagrada Familia. What a delight! Recommended in 2015’s Guide Michelin this restaurant is truly an experience. The restaurant crowns the old port cable´s tower, designed and built by Carles Buigas in 1929, because of the Barcelona´s Universal Exhibition. Not that we haven’t been there before, but as the ongoing construction guarantees to see something new every time when returning to La Sagrada Familia, we just couldn’t resist to admire Gaudí’s masterpiece again. The wealth of conceptual and architectural details is hard to describe with words. We were standing inside the Sagrada Familia, awestruck by its beauty. Generally, I am more a fan of the outside of churches, but this time I just couldn’t stop staring. The inside is flooded by light. The colorful windows are representing the birth of Jesus on the eastern side, turning the sunlight into blue and green rays; and his passing on the western side, giving the light a deep red, orange and yellow color. The columns reminded us of flower stems, making us feel like tiny inhabitants of a meadow. Apparently, the termination of the cathedral is planned for 2026 – the 100 year anniversary of the architect’s death. Already marked our calendar! You can’t really leave Spain without some Spanish ham. 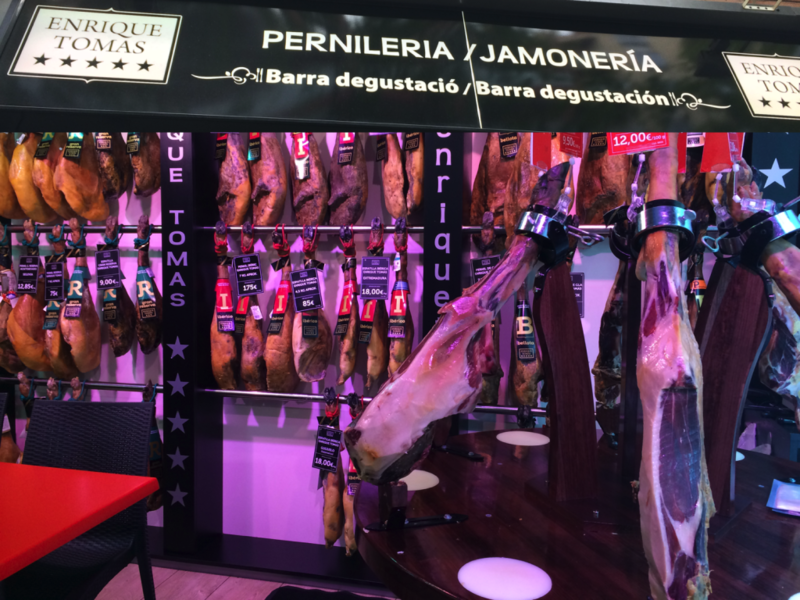 Our taxi driver swore that at Enrique Tomas we would get really delicious Jamón and he was right. There is a large variety of hand-carved ham to choose from. Vegetarians will find tasty Manchego and other types of cheese. As our workshop was an incentive trip we also planned for a fun team activity. We booked a tour at Foto Ruta, where we got an interesting introduction to photography and how to get the most out of our smartphone cameras. Following that we were sent on a walk around the El Born quarter to capture some clues and interesting moments. Definitely worth it! For the Foto Ruta tour we met at the El Born Cultural Center. Once a market hall the city was planning to turn it into a library. During the construction they uncovered the Barcelona of 1700, the prosperous city that suffered the siege of 1714 and that put up resistance before Catalonia’s national liberties were eventually lost, yet to be restored three centuries later. You can now visit these ruins at the El Born CC and experience the city’s history. Good food is very important to us. After some mediocre culinary experiences during our workshop we were craving yummy seafood. 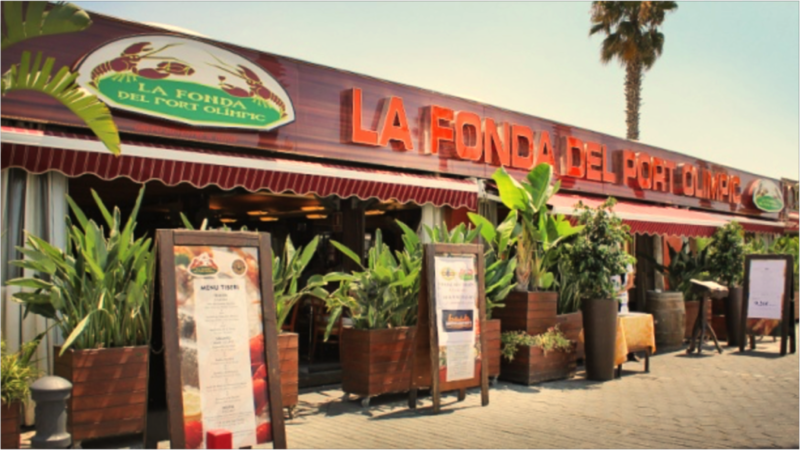 The friendly receptionist at our hotel sent us to La Fonda del Port Olimpic, a really busy restaurant at the Olympic harbor. The armada of friendly and very humorous service staff gives the restaurant a touch of a lively market hall. We went a bit over board with our order but we just couldn’t resist the lobster-crab-gamba-shellfish combination of their seafood platter, plus the really tasty tapas they recommended us. And yes, the desert was also nice. Oh, and there is Limoncello and almond cake on the house. To celebrate the sales reps’ achievements we also had to party (yes, we know, hard job, indeed). 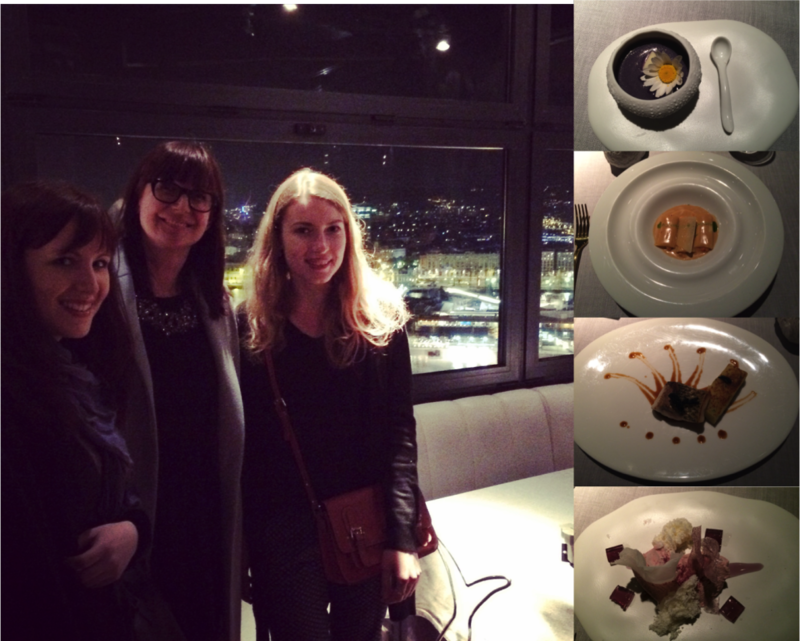 Our client arranged for a night at Eclipse, the club located on one of the W Hotel’s upper floors. The club itself is, in our opinion, not that special, but the view is amazing! 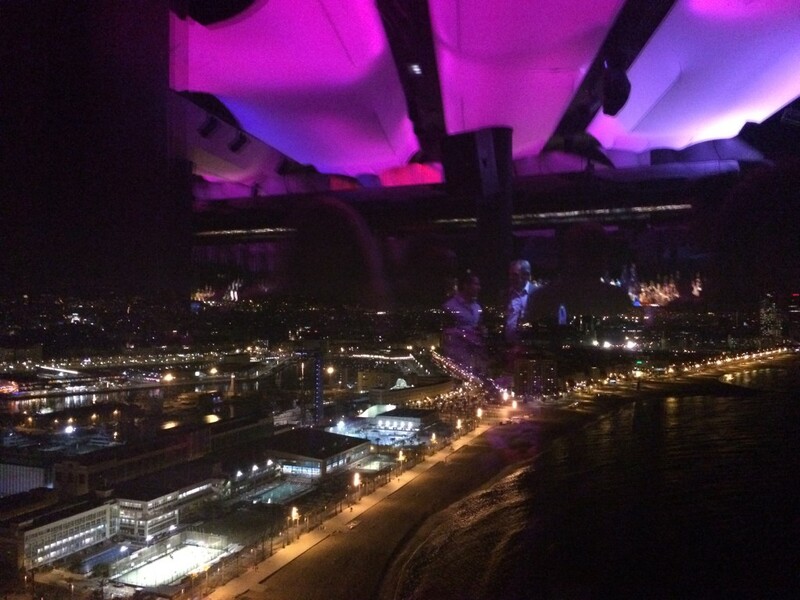 So, if you want to enjoy your cocktail while admiring Barcelona from above, that’s where you have to go.